I&apos;d be willing to bet that when you hear "Athens, Ohio", a music festival probably isn&apos;t the first thing that comes to mind. "Isn&apos;t it like... cold in Ohio?" Yes, but that doesn&apos;t mean we can&apos;t throw down like its 85 and sunny. Content warning for our warm climate readers: Temperatures experienced during this review were below 55°F, please proceed with caution. The lineup for this year&apos;s #FEST (Number Fest) embodies that perfectly out-of-control college party that you&apos;ll reminisce about when you&apos;re middle-aged and boring. Hip-Hop headliners Lil Uzi Vert and Ohio&apos;s own, Trippie Redd, send the crowd into a frenzy with their emotional and energetic performances, which blended well with the dance music acts of the evening. Lil Uzi Vert favorites like "Bad and Boujee" and "XO Tour Llif3" were the cause of many raspy voices after the festival, as it seemed every single person in attendance belted out the lyrics at full volume. 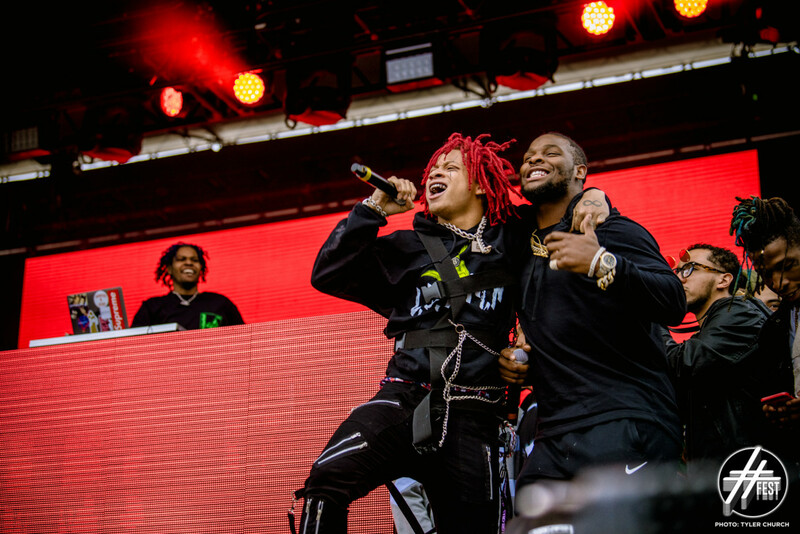 Before his energetic performance, Trippie Redd was introduced to the crowd by the guest host of the evening, Pittsburgh Steelers star running back, Le&apos;Veon Bell. Despite being a bitter Cleveland Browns fan, it was pretty cool to see an NFL superstar take the stage. 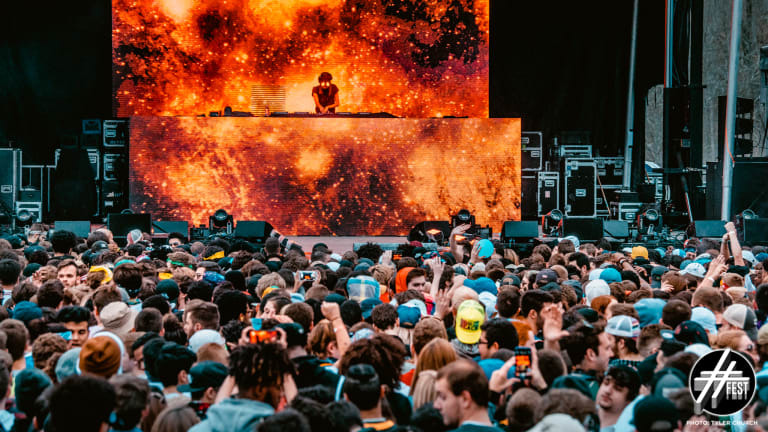 Those who were still able to function after RL Grime and GTA&apos;s day one madness were in for a treat on the second and final day as two of dance music&apos;s most exciting acts shared the main stage. 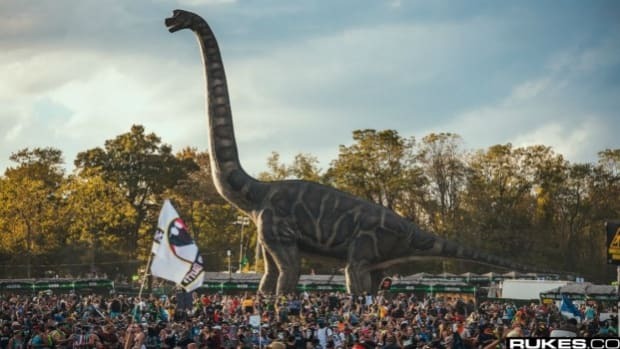 EDM.com&apos;s 2017 Best New Artist award-winner, Rezz, was the first electronic headliner to take the stage on the second day. 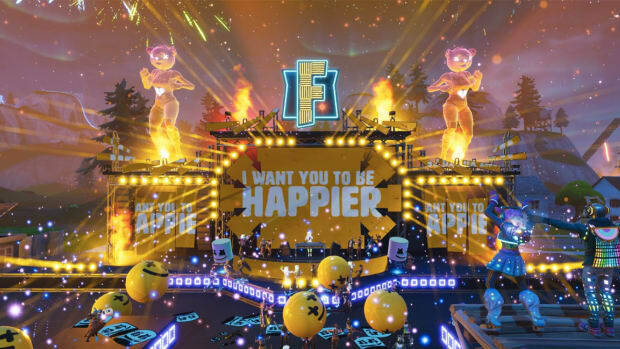 Now I can&apos;t say this with absolute certainty, but it definitely appeared as though Rezz wasn&apos;t just performing, but recruiting members for her cult. 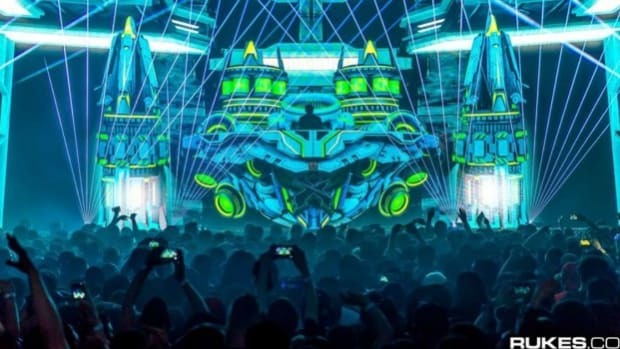 This probably isn&apos;t news to those who are familiar with the one they call "Space Mom", but for those who aren&apos;t hip, this is standard practice for Rezz. She invades cities with promises of dark bass and mind-blowing visuals but leaves town with an alarming amount of new space-cult members. Athens, Ohio was no exception to this rule. It&apos;s always interesting to see the progression of non-dance music fans before, during, and after a set like this. Walking through the crowd afterward I heard many of the non-dance music fans say things like "I have no idea what just happened but I love it". It&apos;s refreshing to new/non-traditional dance music styles embraced by a new generation of fans. 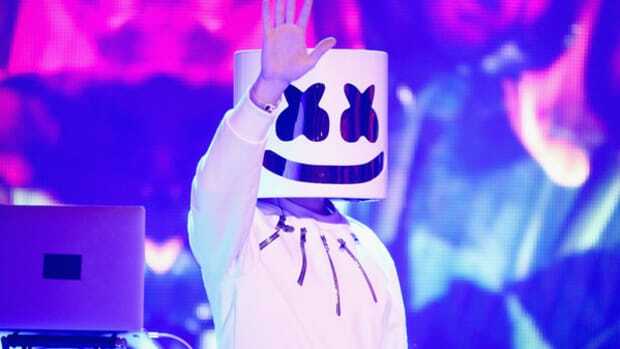 The final set of the night was from none other than EDM megastar, Marshmello. Everyone was at attention when dance music&apos;s favorite s&apos;mores ingredient began to light up the main stage. 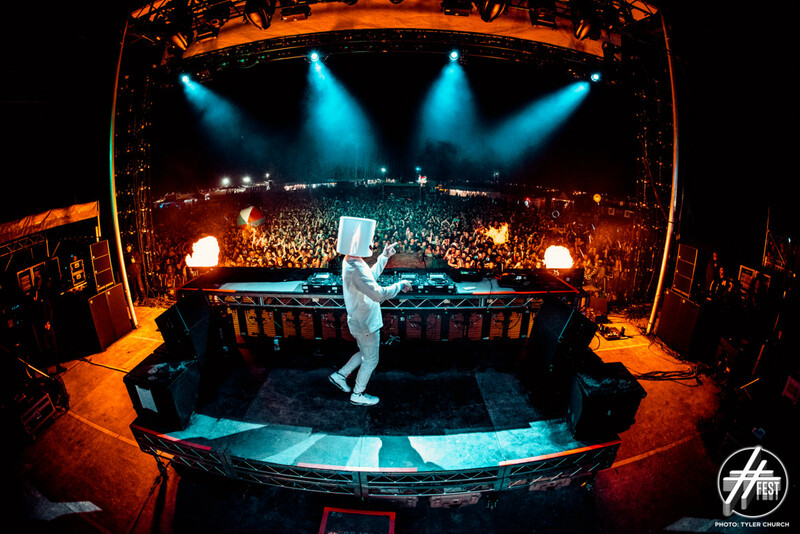 His addicting melodies alongside the hilarious and interesting visuals helped elevate Marshmello to legendary #Fest performer status. The setlist for the night consisted of a variety of genres spanning everything from alternative rock to dubstep. A hush fell over the crowd as Marshmello dedicated the end of his set to the late Avicii. After a short speech of how important Avicii was to his career and music in general, he closed out the festival with his personal favorite track "Fade Into Darkness" and showed the Athens, Ohio why his music will live on forever in the hearts of fans all across the world. #16FEST was definitely one for the books. The men and women who helped make it happen should sleep well knowing that even after sixteen years they still have a powerhouse festival in their hands. 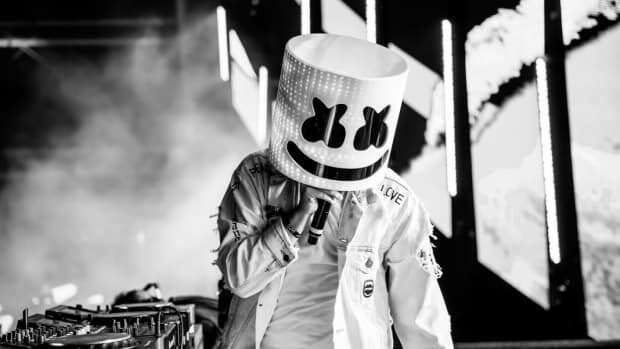 Marshmello and Zedd dominated the 2019 iHeartRadio Music Awards with some huge award wins. 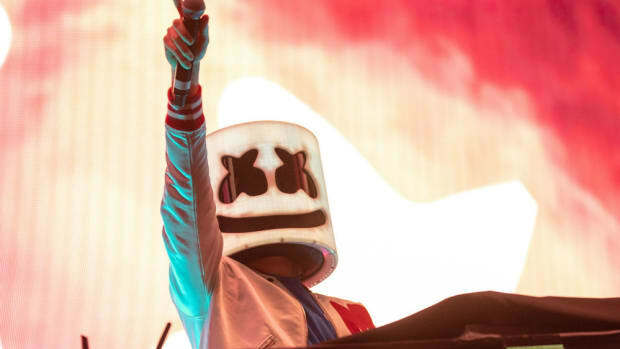 Marshmello joins Skrillex, Travis Scott, and more at KAOS Nightclub this spring.